After her Manchester concert ended with a bombing that killed 23 people (including the attacker), Ariana Grande contemplated returning to music. 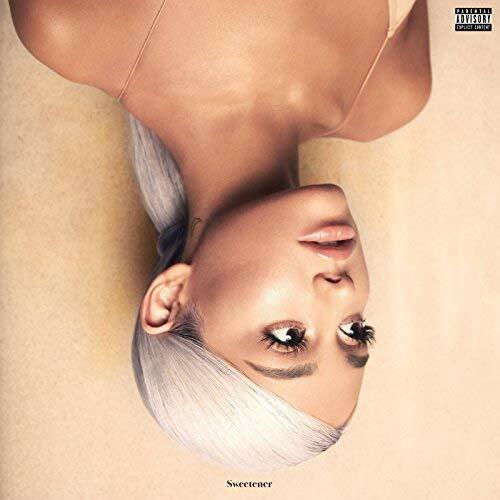 With the release of Sweetener, she created an album that addresses the aftermath of the bombing along with other issues such as mental health and self-care. However, Grande makes sure to include her signature pop love songs, making Sweetener overall an album of good vibes and positivity. Beginning with the interlude of “Raindrops (An Angel Cried),” Grande sets a somber mood that encompasses the turmoil and despair of experiencing loss. She then takes the listeners on a euphoric journey filled with an interwoven mix of upbeat love songs and songs of self-care. The song “Get Well Soon” encourages listeners to pay attention to their physical and mental state: “This is for everybody / Babe you gotta take care of your body / Ain’t no time to deny it / That is why we’re talkin’ about it (Get better, get better).” In these lines, Grande sends out a direct call to action about the importance of taking time to take care of yourself and not let the worries of the world bring you down. At the end of “Get Well Soon” she also pays tribute to the victims of the Manchester bombing by giving 40 seconds of silence to make the song five minutes and 22 seconds for each of the victims who lost their lives, according to her interview with Michael Strahan on ABC News. As Grande takes the time to promote self-care with upbeat and melodious tunes, she stays true to her fans and still gives us pop love songs with a touch of R&B. Songs such as “R.E.M” and “Goodnight n Go” have dream-like cadences with playful imaginative lyrics. In “R.E.M,” Grande confesses her love for a man she encounters in a dream through a serenade: “Last night, boy I met you / When I was sleep / You’re such a dream to me.” Grande also serenades her fiancé Pete Davidson with a track titled after him. Through the song “Pete Davidson,” Grande talks to him about how they were destined for each other: “Universe must have my back, fell from the sky into my lap / And I know that you’re my soulmate and all that.” “Pete Davidson” is heavily influenced with harmonies that create a soothing tone. The song ends with the lines “I’m a be happy, happy,” almost as a declaration to the world that despite life’s ups and downs she will be content. Through Sweetener, Grande gives us an album of motivational self-care vibes and candy-coated love songs.